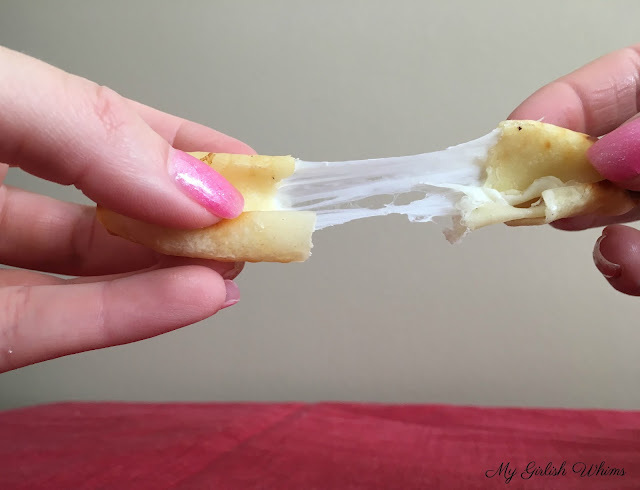 Air Fried Mozzarella sticks use low fat cheese string and won-ton wrappers to make a healthy version of this go-to fried food quickly and easily! Cheese has always been my favorite food. My love for cheese STILL runs strong but ever since losing 100 pounds and trying to maintain my new lifestyle...I've had to stop ordering QUITE so many mozzarella sticks. Well, at least opt to share them with others if I do order them cause #YOLO and #BALANCE haha. BUT! 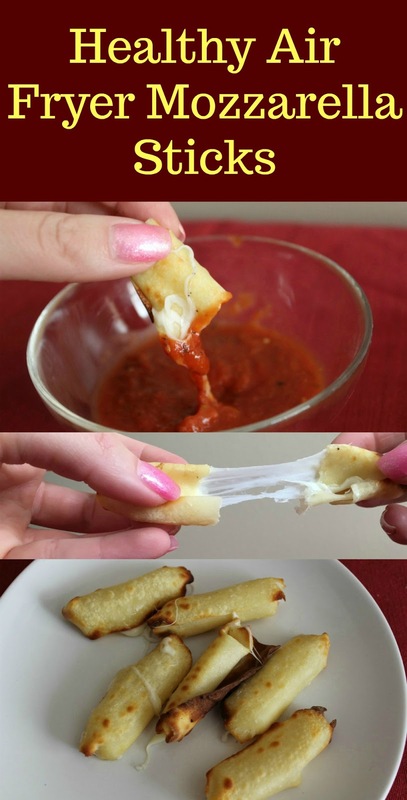 Finally: a game changer for you other fried cheese lovers out there! 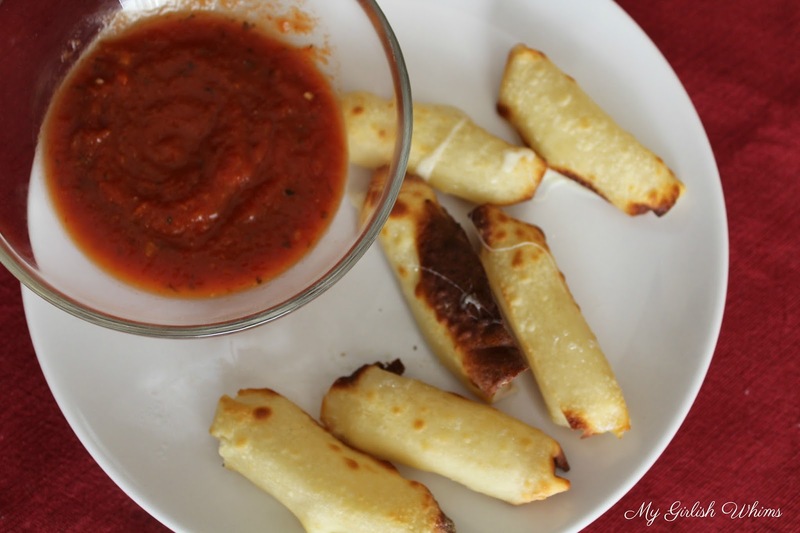 I made mozzarella sticks in my AIR FRYER (I have a Philips brand - affiliate link) using pretty healthy ingredients and they actually taste so good that you THINK they should be a guilty pleasure...but they really are not! I mean, maybe you still shouldn't eat 9 of them in one sitting (not like I EVER would have done such a thing...like immediately after making and photographing this recipe...nope...I would never ever have just sat and ate all nine of these and licked my fingers afterwards and went into a blissful cheese coma when I was done...heh. Nope, never!) 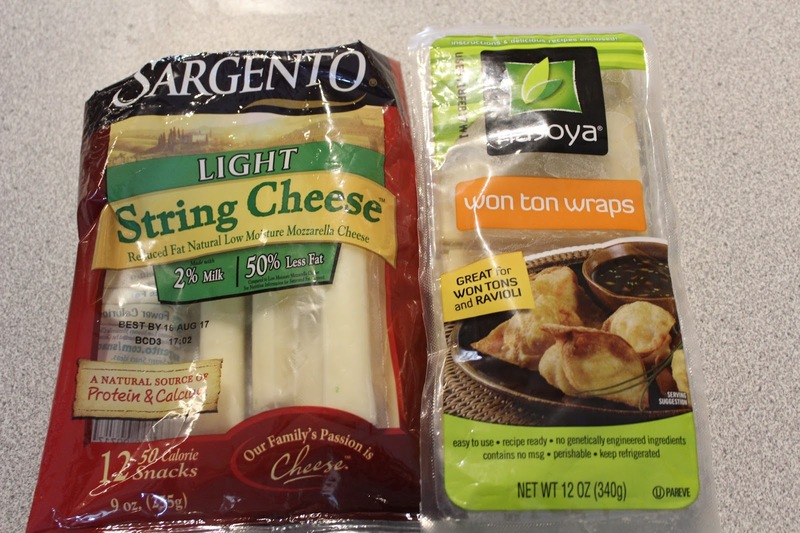 but they are made using low fat string cheese, won ton wrappers and NO extra oil since they are cooked in an air-fryer, so overall still pretty good for you! A recipe is listed at the end of the post, but here are some step-by-steps for you! 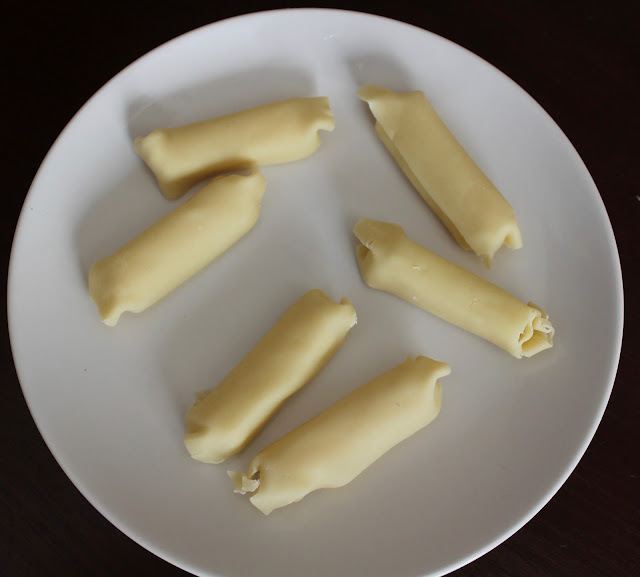 To make these delicious little fried cheese sticks I used low fat cheese strings from Sargento and won ton wrappers I found near the tofu section at my grocery store. 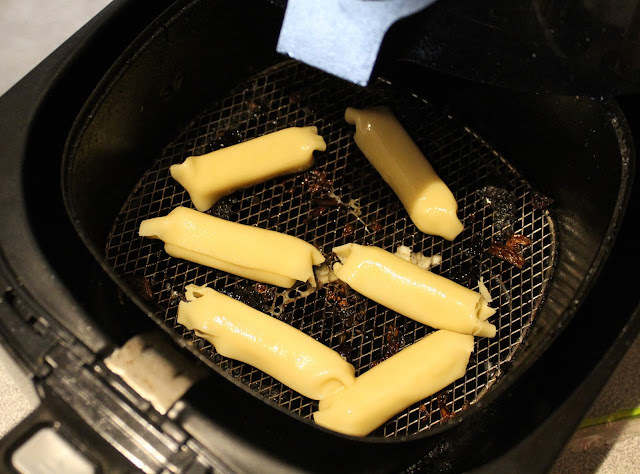 Place the sticks in the bin of your air fryer, spray with cooking spray, and cook at 390 degrees for 5 minutes. When they come out? 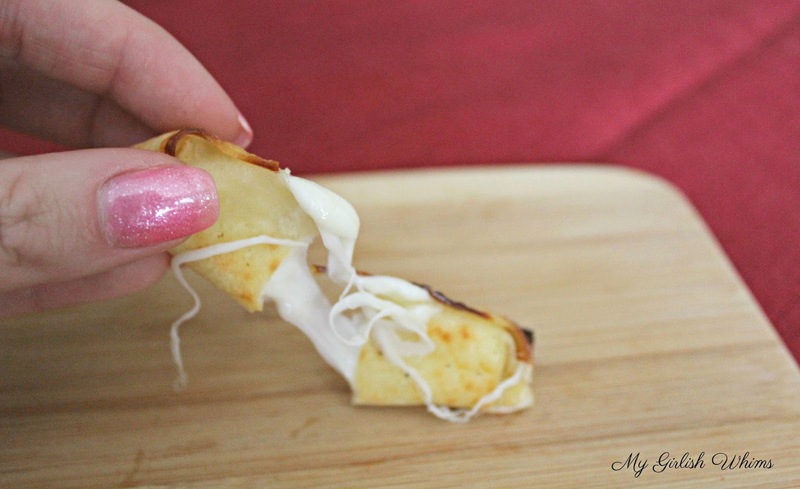 OOZING MELTING DELICIOUS CHEESE!!! I seriously CANNOT get enough of my air fryer! Best investment ever. 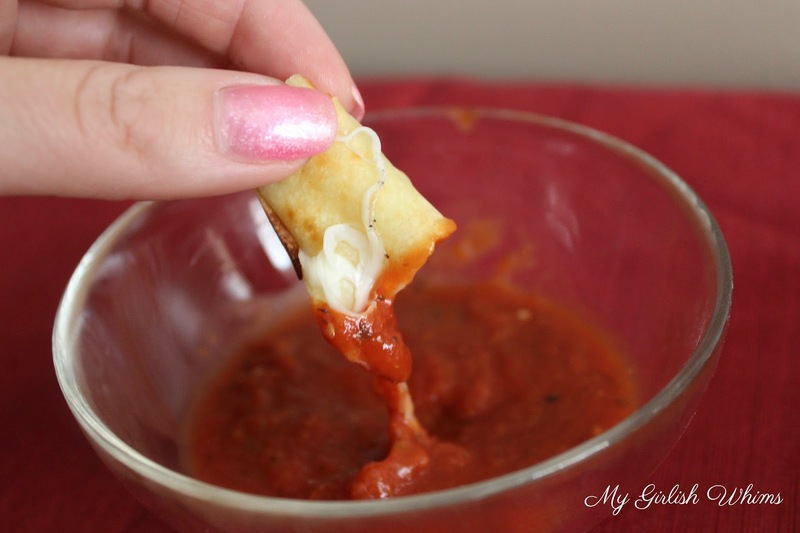 Anything that helps me still eat fried cheese and be on track for my diet?!! GOD SEND. Seriously if you are even half considering ordering one, DO IT!! Check out my other air-fryer recipes, and here's the affiliate info again on the fryer I use! 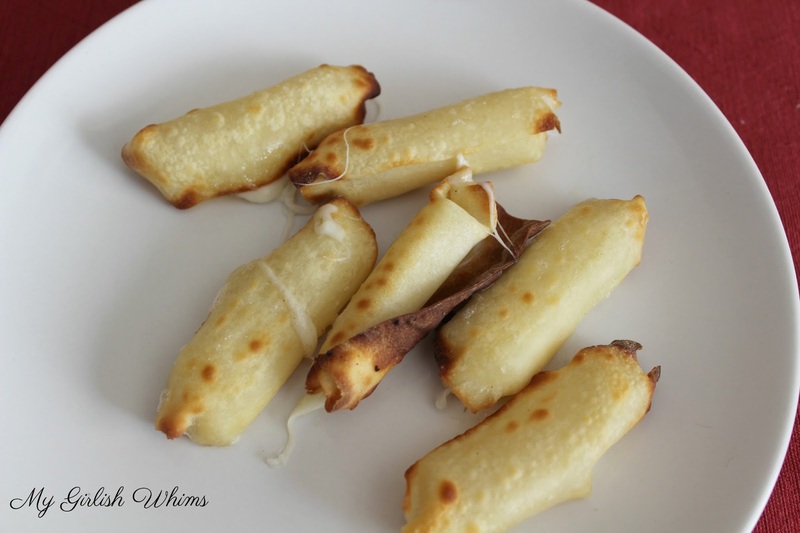 Low fat cheese string wrapped with won ton wrappers and cooked in an air fryer makers a healthy and delicious alternative to traditional fried mozzarella sticks! I cannot wait to make these! 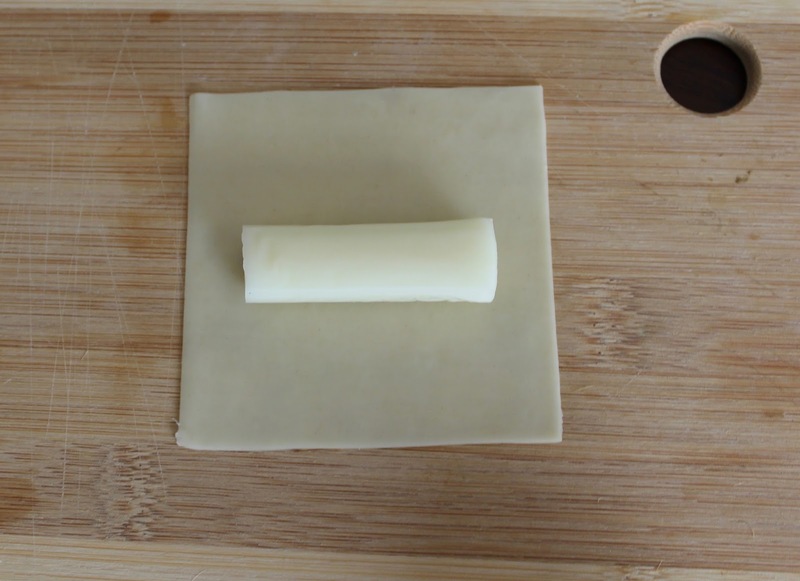 I searched how to make them and would never have thought of wonton wrappers. This is awesome, thank you! It is nice game download now here. Just found these. 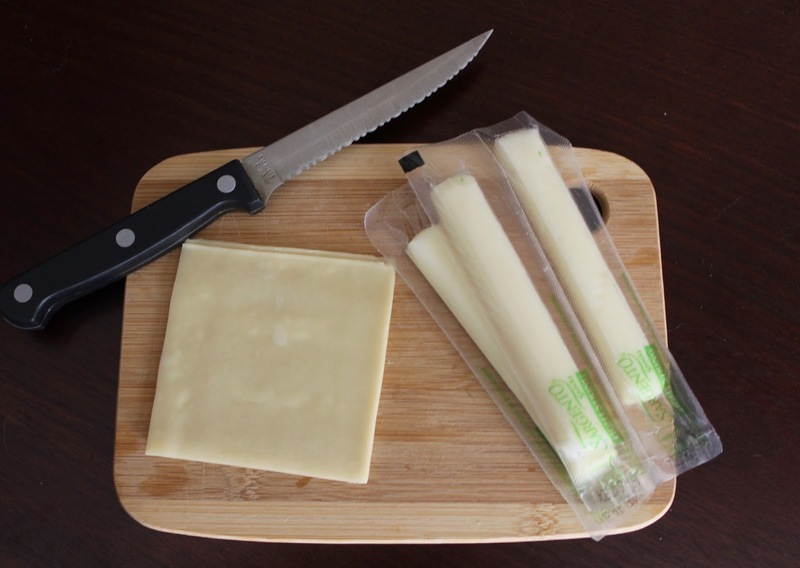 I too am a cheese lover and look forward to following you. I made these but only had egg roll wrappers so cut in 1/4 and made them because had cheese stick craving! Can’t wait to make again!! Thank you!